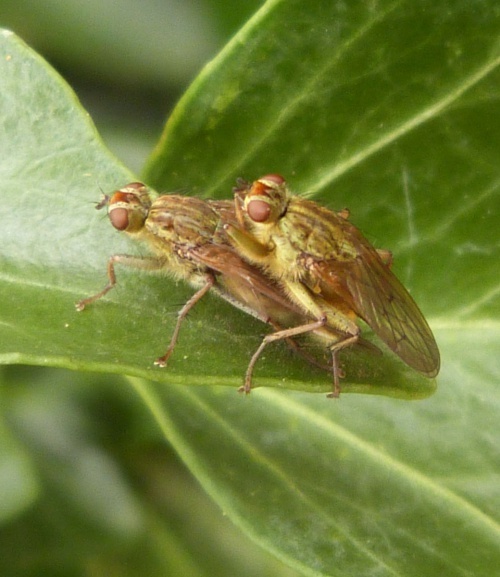 The male is golden yellow, whilst the female has a greener appearance and is less furry. 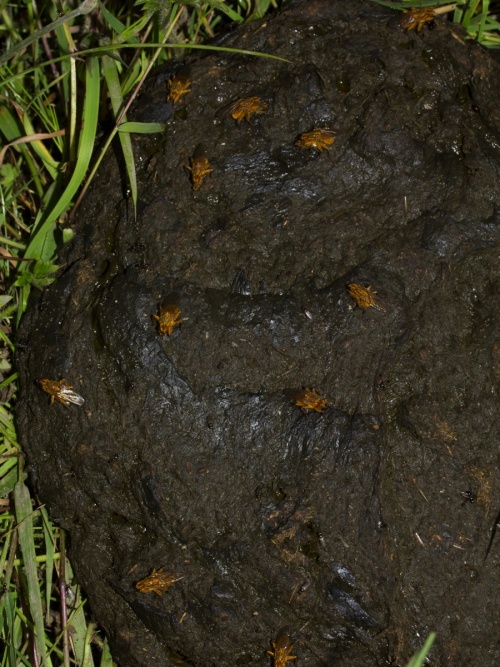 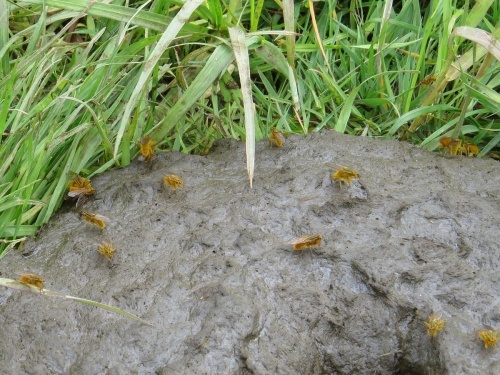 It is very common in cattle farming areas. 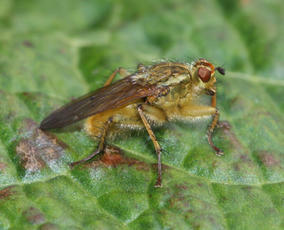 March to November peaking in summer. 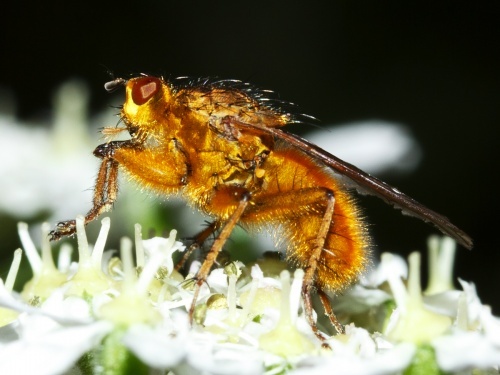 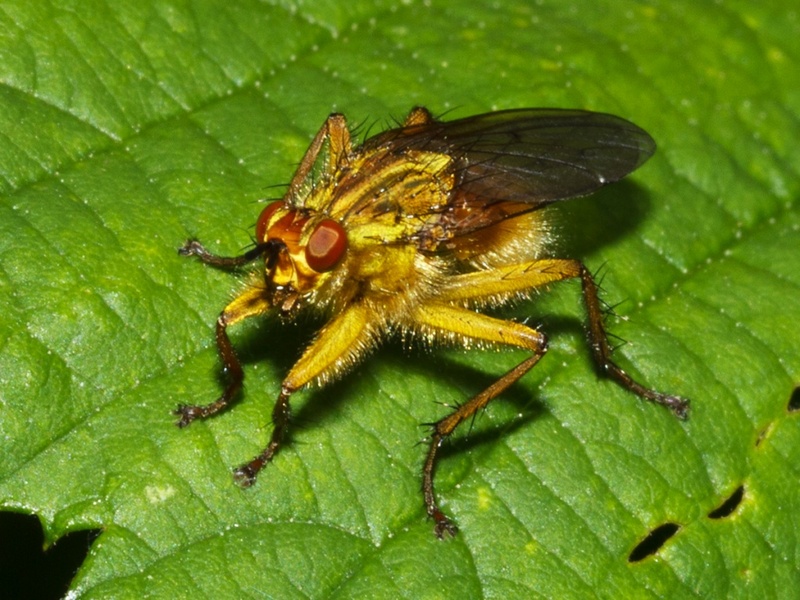 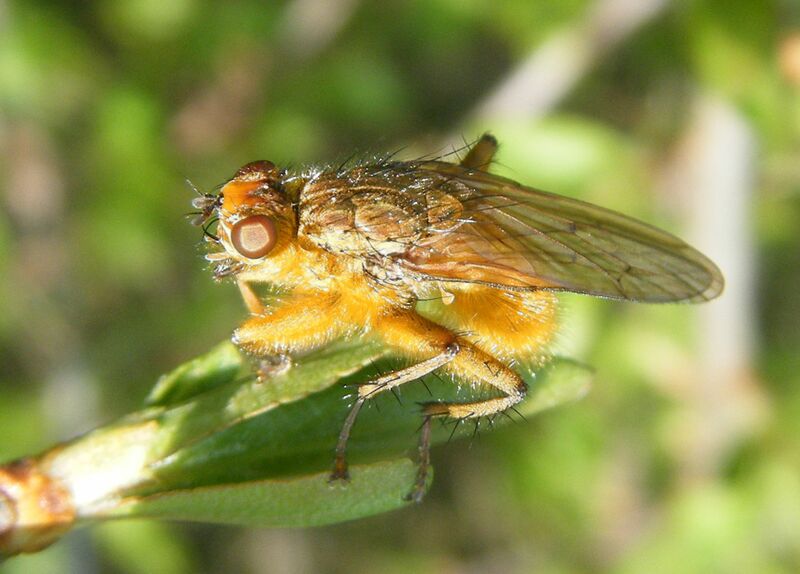 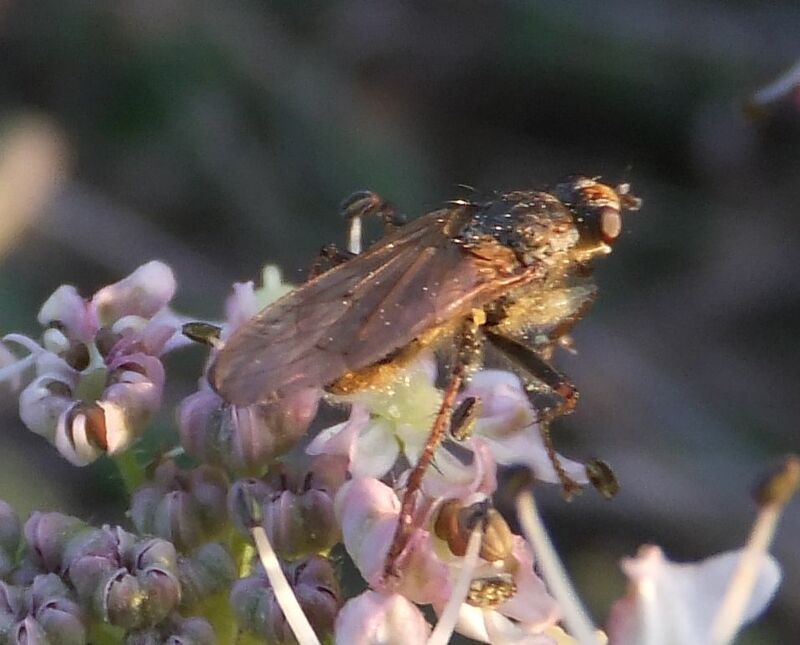 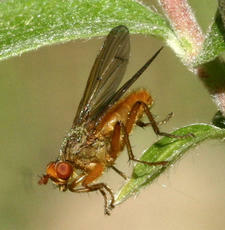 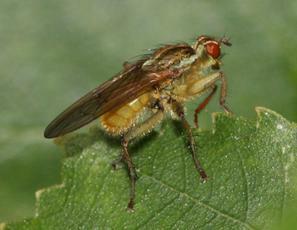 The adult fly is mainly carnivorous and catches smaller insects, though also eats nectar. 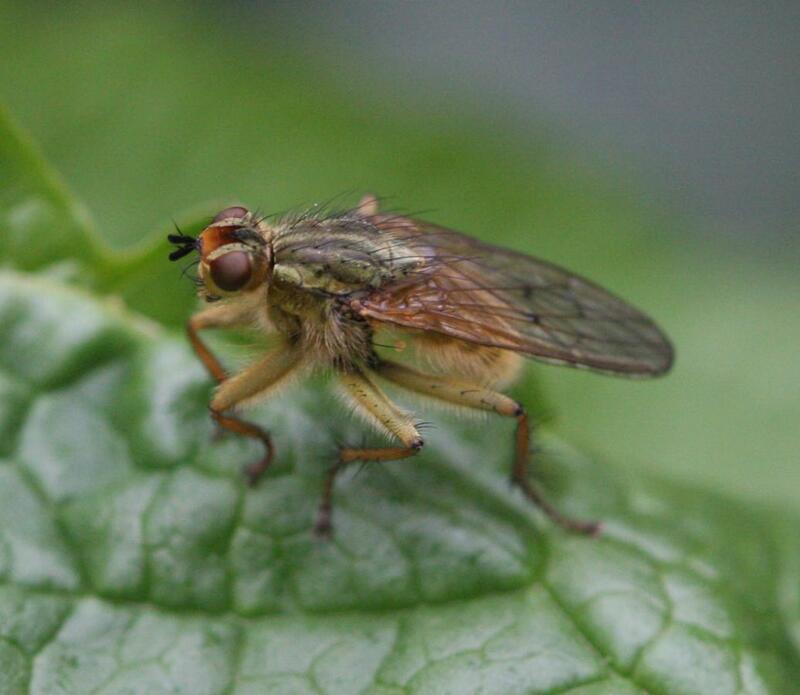 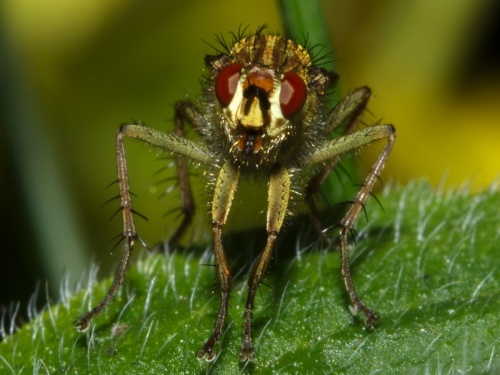 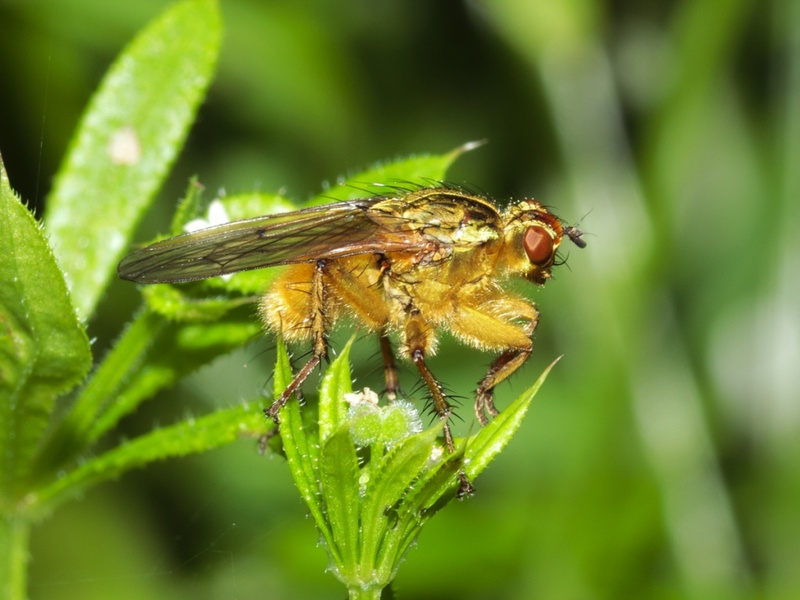 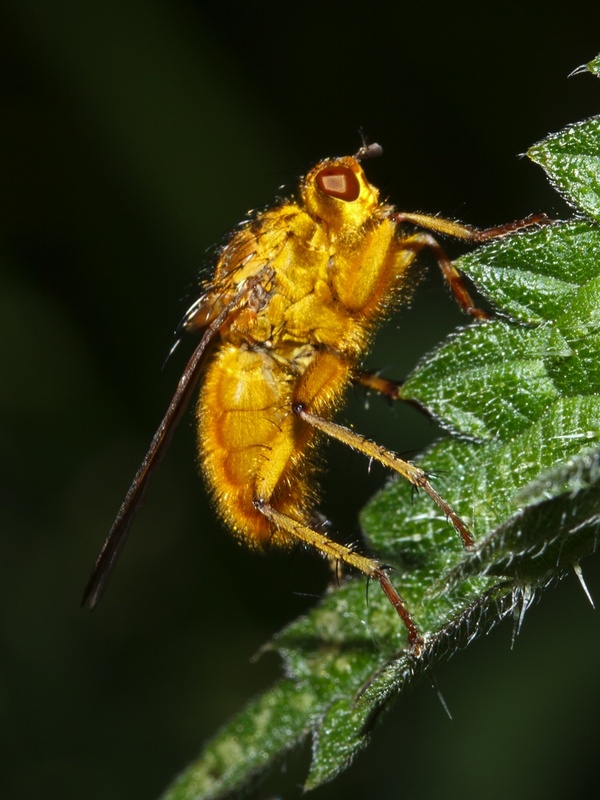 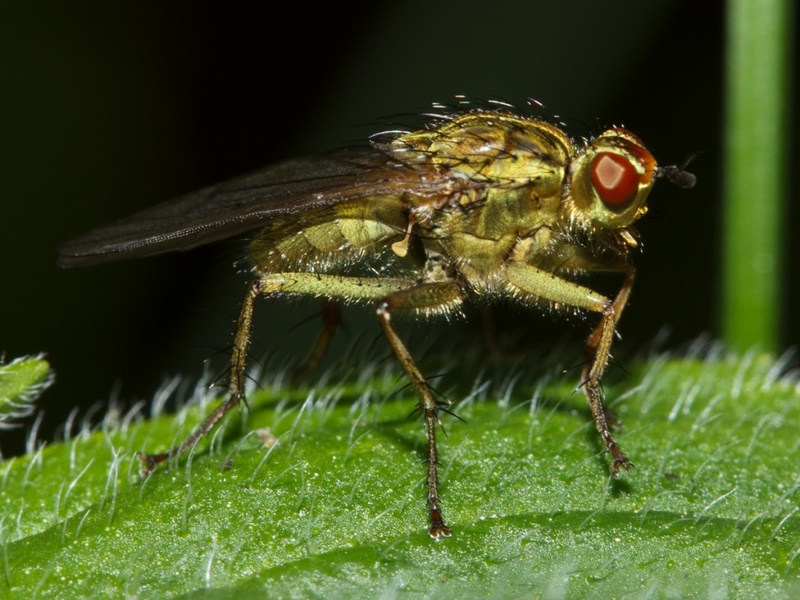 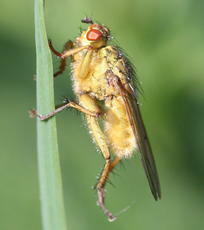 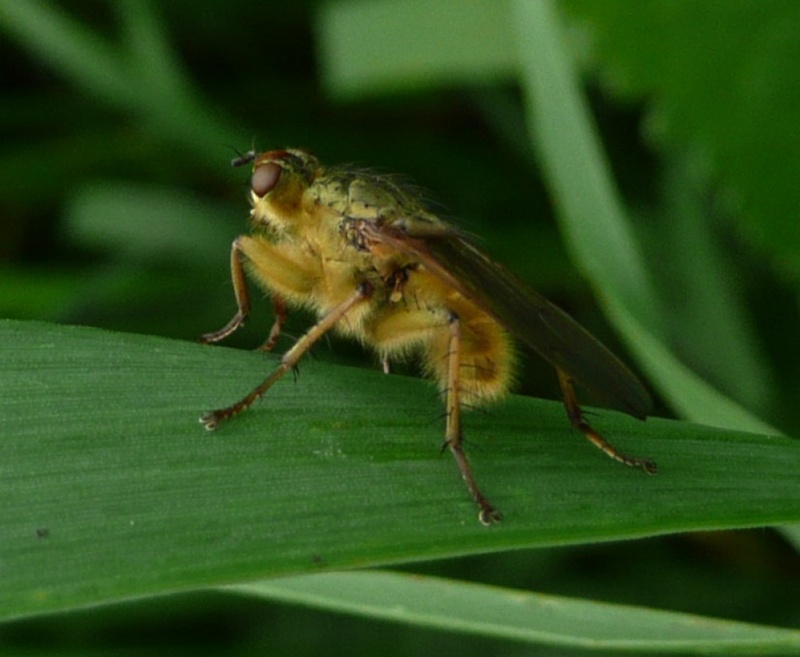 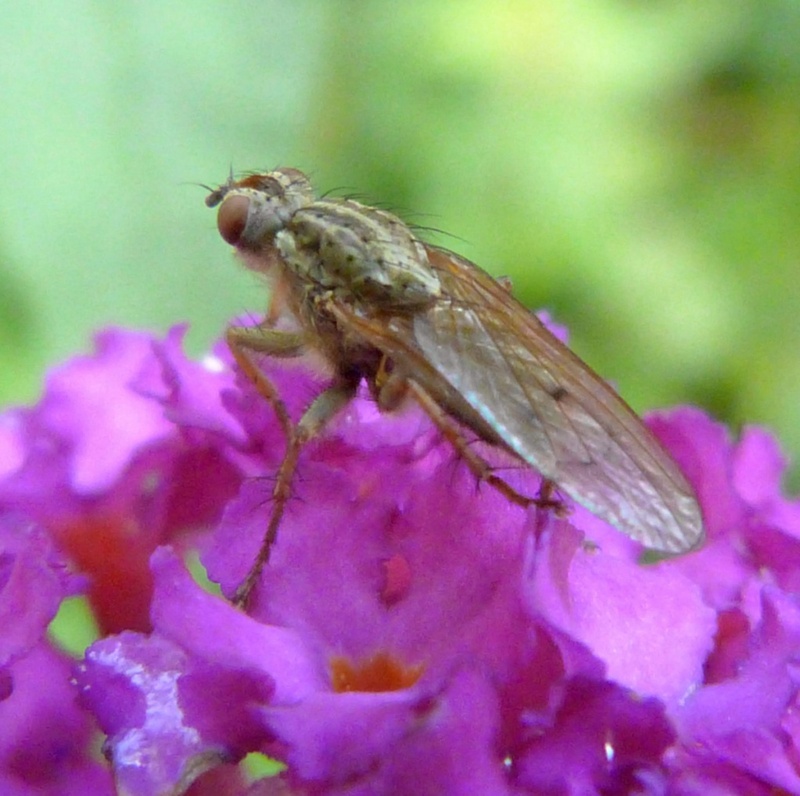 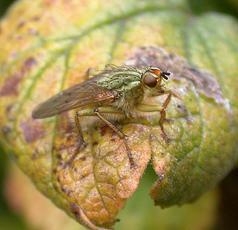 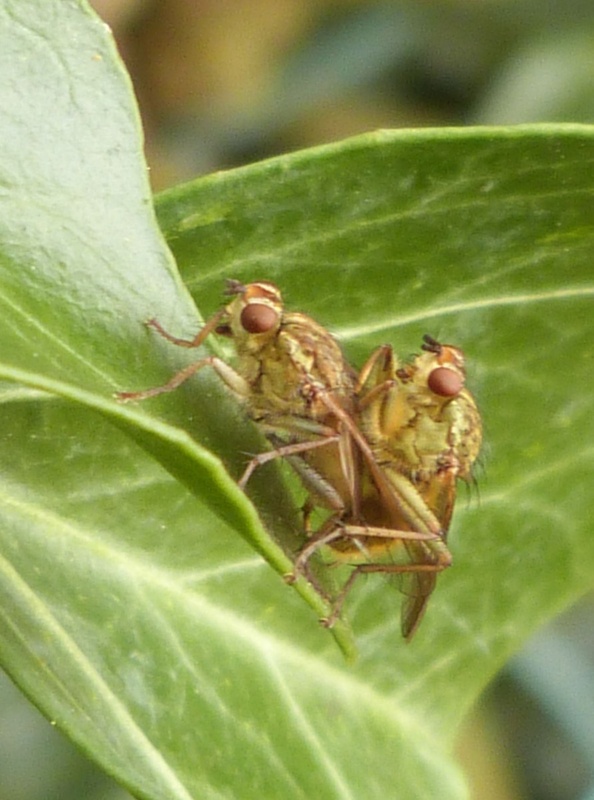 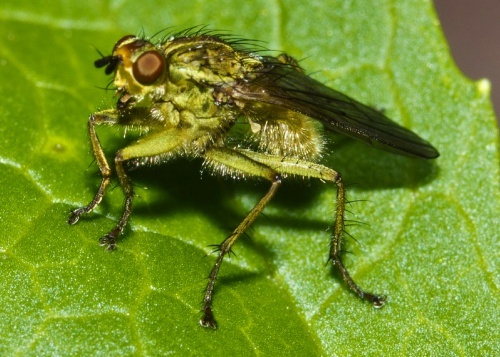 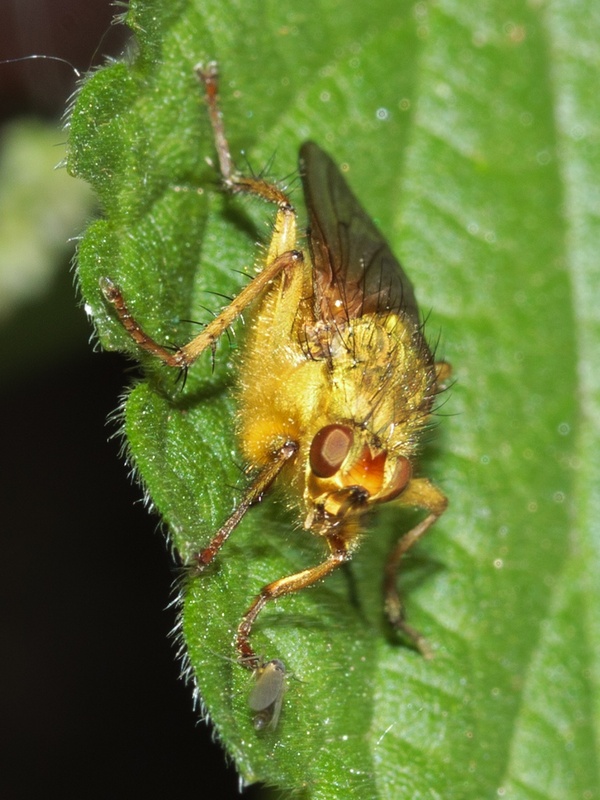 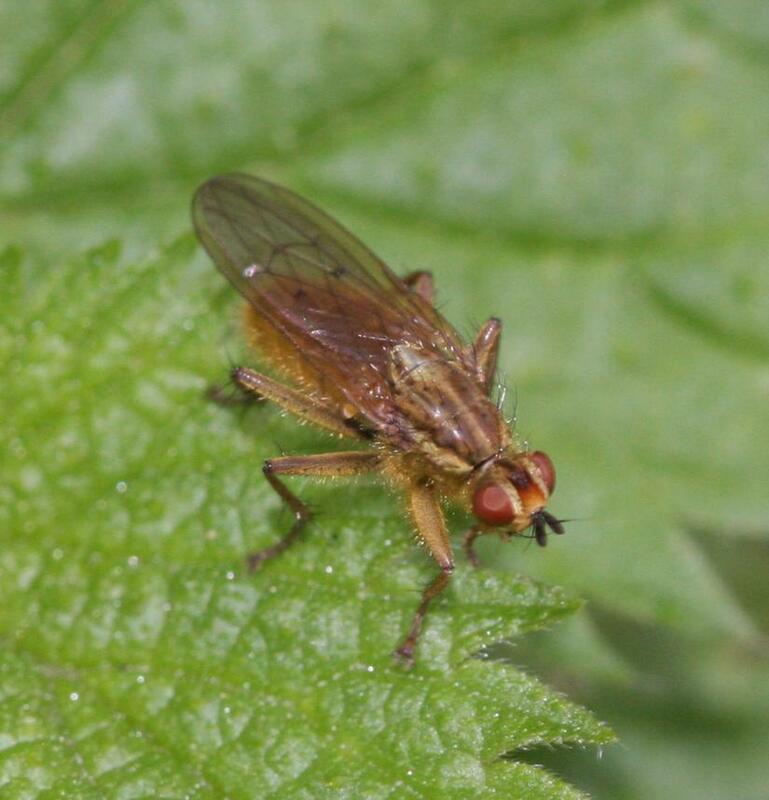 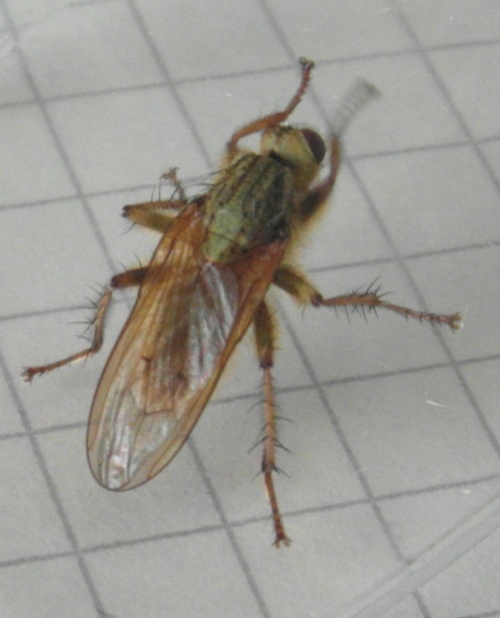 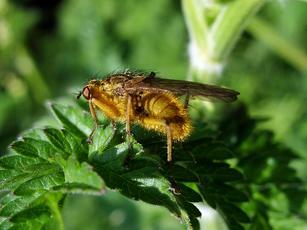 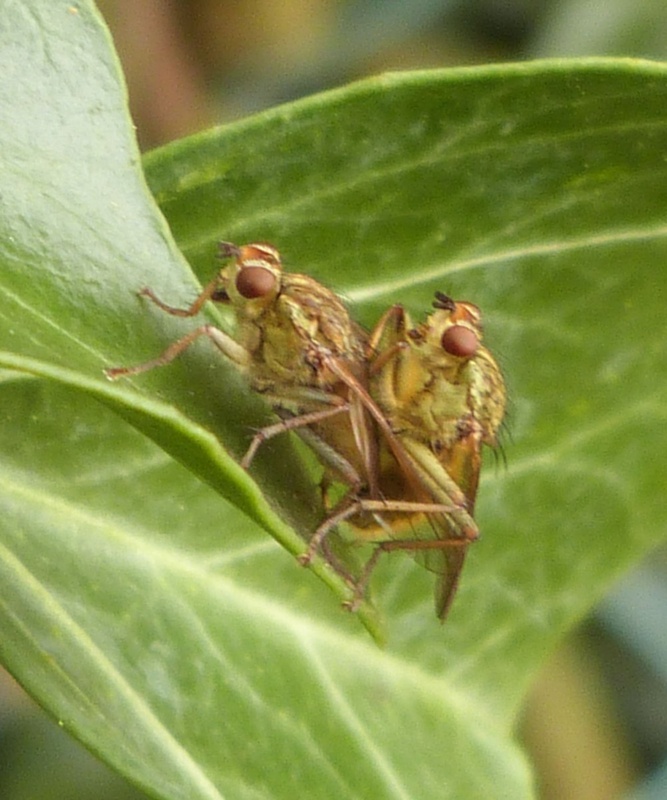 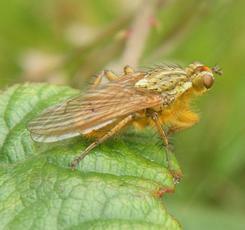 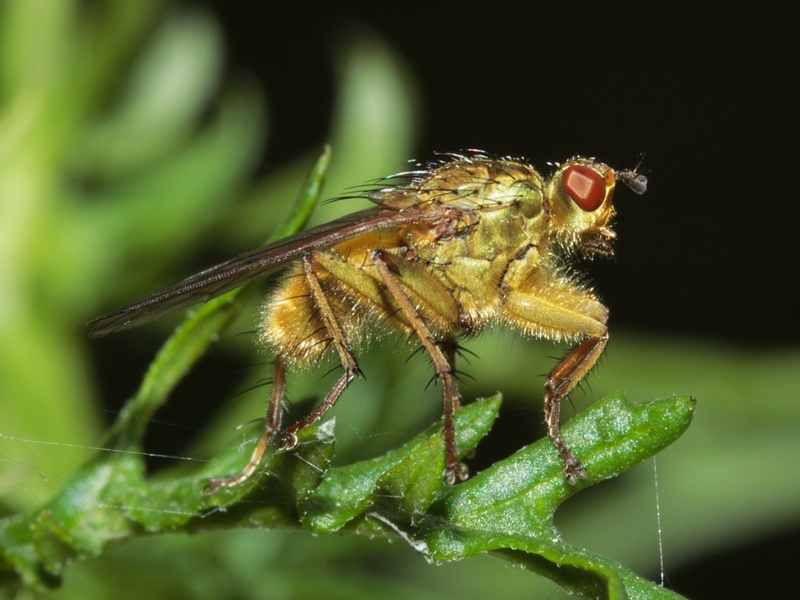 As the name suggests, this fly lays its eggs mainly on cowpats.